James Ford lists his favourite Zen blogs – and in true Zen fashion includes those Zennish and those not-quite-Zen but nice enough to read. I’m touched to be in the list and somewhat relieved to be a “not Zen specifically”. It’s actually an awakening to the truth that I’ve lost the zap of Zen and am quite happy hanging out here in the fourth jhana, chillin’ with my pups. As you know, Facebook is a magic land where your actions are given immediate reward. No sooner had I posted something about equanimity – i.e., hanging out in the 4th jhana – when this post from Jack Kornfield appeared on my feed (they call it a “feed” for good reason). No promises about the New Year and whether I will discover my Zen mojo. However, do have an awesome Holiday Celebration! Meanwhile every thing we hold dear, think is important, see as a life-and-death issue, a catastrophe, a boring inconvenience, an opportunity for self-righteous blathering remains ineffectual in the face of the world going on. In the beginning of January, I left for a series of retreats over a three-week period at the Insight Meditation Center and Barre Center for Buddhist Studies. The teachers at IMS were Christina Feldman and Chris Cullen with two rather amazing up-and-coming teachers. The next week Winnie Nazarko lead the bhavana retreat at at BCBS, which I followed up with a personal retreat, scouring the books in the BCBS library. The days were spent in meditation, reading texts I wouldn’t find anywhere else, and filling my notebook with codes of sutras that I hope I’ll be able to decode four months later. Through all the talks and conversations, the thread of contemporary mindfulness’ impact on Buddhist practice was very evident. Feldman and Cullen slid past it but what was left unspoken or re-framed spoke loudly to the ambivalence towards the topic. Participants in their retreat (which was advertised as a prerequisite to training as a mindfulness-based instructor/teacher/facilitator) shared that they realized they didn’t have to be a Buddhist teacher to be a (secular?) mindfulness teacher. I can see how they came to that conclusion, encouraged by Feldman’s continuous insistence that she is neither Buddhist nor does she teach Buddhism – fact that caused me some consternation given the theme of her books and the content of her talks, not to mention the very venue in which she was teaching. But let’s leave that to someone else’s article on 10 Mysterious Things in the Buddhist Universe You Will Never Believe! Click here! I get confused these days. I get confused a lot these in my mind moments. Sometimes it feels like just when I can tell the players with my scorecard, they change the game. So I gave up. In those three weeks of sitting-walking-eating-reading-talking-thinking, I gave up. I decided that the protectors of Buddhist mindfulness and those of secular (where we can now include the new field of “critical mindfulness” propagated by Ed Ng & Ron Purser) live in vastly different worlds with no bridge possible between them. In a leave-taking conversation with Mu Soeng at the end of my retreats, I shared my grapplings with the sutta on generosity (SN 3.24). The Buddha responds to King Pasenadi Kosala’s question about giving, saying that one should give “where the mind feels confidence” and that is different from giving “where it bears great fruit.” Where what is given can bear great fruit, the Buddha goes on to say, is in the hands of one who has abandoned the five hindrances and is endowed with the five virtues. So I asked, “How can we determine such a person? How can we do that without getting into the judgemental mind state or the preferential mind state, given we are ourselves so clouded?” The answer was simple: We give; and we know the virtuous by the fruit of their actions. When I bring this advice to bear on the current debates, arguments, sniping, and otherwise skillful and unskillful exchanges, I have to say I see little of good fruit. In some pockets of discussion, there is much to learn and it is supportive. But it’s not enough and the resistance and defensiveness on both sides (are there only two sides to this?) is overwhelming. There’s despair on both sides, I imagine. And yes, “meanwhile the world goes on.” Meanwhile, Buddhist teachers teach, mindfulness instructors/facilitators/therapists instruct/facilitate/therap. And meanwhile on both sides of the divide they do good, commit atrocities, create loving communities, and foster elite cults. So the question from a Buddhist perspective might be what can we salvage from this? The answer is that salvaging is not what is called for because nothing has been destroyed. The Dharma is not so vulnerable and thus far has withstood 2600 years of assault. The question from a secular/clinical perspective might be what can derive from all this? The answer is that we need to find our own roots. Ruth Baer has written a wonderful article that points to what we’re missing in the debate. But more than all that, the question is whether we can or should continue to have (to paraphrase David Whyte from Crossing the Unknown Sea) “a disciplined daily conversation” with each other and ourselves around the value of Buddhist psychology to Western psychology and vice versa. I know the answer for myself. However, I worry that the leading teachers in Buddhism have yet to be less than alarmists and the teachers in contemporary mindfulness shy away from the discussion all together. So, I’m thrilled when I sit down (with trepidation) to listen to Martin Aylward and hear his very strong, direct, and honest appraisal of what we really should be giving to each other. The gift in this debate – as rancorous and belligerent and self-focused as it gets – is that it calls for us to investigate how we “hang that (doctrinal) purity on Buddhism” and to use these moments to see that when we lock into a “contemptuous” stance to the shift in mindfulness practice towards the secular, it is also our own contempt towards our own practice. Watch Martin’s amazing talk “For the Love of Mindfulness” and please donate generously to Worldwide Insight that offers such terrific teachings. Mindfulness. Ethics. Buddhism. Therapy. It’s an ongoing and oft-times baffling debate. Over the last few years (since 2011 if I track the academic publications correctly), Buddhists have stepped up to express concerns about the frighteningly rapid secular applications of mindfulness that seem to dilute and disregard its core teachings and intention. Secular practitioners which include a very large clinical population of mental health professionals have either dismissed the call for a deeper understanding or been baffled by it. [Edited to clear confusion in sentence reference] Related to this latter group, a quick scan of LinkedIn special groups on mindfulness is quite off-putting though the comments are instructive. They are mainly tinged with a deep fear of the religious – not the ethical – nature of being required regularly to attend silent retreats, imposing (insert “religious”) ethics in the curriculum, and otherwise bring an unfamiliar and foreign languaging into what is now taken as a neutral, clinical program. Now that’s more or less true when we have years to practice and watch the mind twist and turn trying to justify all matter of unskillfulness. Ethical speech and action can and does arise as we clarify, clarify, clarify our propensity to ignorance, greed, and attachments. Ethical livelihood can arise (economics and mastering our own greed notwithstanding). But not, in my experience, reliably so in 8-weeks sitting together trying to get past the delusional nature of our suffering, layered over by our “terrible personality” that is borne forth from a multitude of biopsychosocial causes and conditions. Recently, my colleagues Jane Compson, Frank Musten, and I published an article in Mindfulness on the difficulties of trying to reconcile, assess, and dig deeper into the issues of secular/clinical concepts of mindfulness. You can read it here and I’d encourage reading the commentaries to our article (in the previous link) because scholarly practitioners such as Ajahn Amaro and Mark Greenberg/Joy Mitra have made excellent offerings on the topic. Along with many others, I too have a deep concern about the way mindfulness is taught and proliferating in secular and clinical domains, how it is reduced to a pabulum of trite sayings and a mash-up of mindfulness memes. But waging war against this level of misunderstanding is exhausting and actually fruitless. The fear clinicians have of incorporating ethics/values into their work stems from an over-applied historic meme itself – that our presence is but a mirror, reflecting nothing of ourselves and everything of the other. It is based in a psychological Cartesian principle of separateness, not just of mind and body but also of you and me. In fact, to bring anything of myself into the room is often harshly dealt with in internships and trainings. Now here’s the irony, mindfulness was a hope of many of us that this delusion of separateness would finally dissolve and we would be able to enter into an authentic – a more fully authentic – relationship with each other whether it is in the marketplace or the therapy room. Doubly ironic, the fields of moral psychology and counselling and spirituality have explored issues of the fallacy of values-neutral interactions in therapy. The findings are fascinating; in brief, clients over time take on the values of their therapists. But these examinations haven’t attained much traction in the huge momentum of cognitive-based treatments. The underlying and frequently by-passed point is that there is no time when ethics is absent from our relationships. Be it in the therapy room, at the dining table, and even most especially in the all-purpose family room with the TV flashing its programs, it can no more be excised from the practice than heat from a chilli pepper. And it is never absent in the gathering place of mindfulness programs. So, if our fear is that ethics of the Dharma as it moves into secular domains are an imposition on our program participants, then that fear is misplaced. The fear should be more that we have been lulled into believing that we can be value-neutral participants at this intimate level as we connect with those who suffer deeply from this self-same disconnect from their lives. This is where the danger lies: that we are taking this arrogant stance and blindly leading others into the very vortex of ignorance that is the source of their suffering. And more, there is the equally arrogant and disrespectful assumption that the participants are tabula rasa to their own ethics and morality. The ongoing debate among Buddhist, between Buddhists and secular/clinical practitioners, and all other permutations and combinations involved in the issue of placing ethics in mindfulness programs/teachings needs to turn back onto itself and examine its own assumptions about the nature of ethics and morality as well as how we acquire and embody them. As Ajahn Amaro points out in his commentary to our article, we need to examine the “subtle influences” of our own religious (even if disavowed) and cultural baggage that lead us to believe having ethics in a curriculum will create better people or that not having it will create monsters. It’s time that we see the fear-inducing memes about religious infringement and mindful evil-doers as click bait, distracting both Buddhists and secular individuals committed to the teachings of mindfulness from the real issue of how to cultivate an embodied ethic. Lynette Monteiro It’s now the rehash that is a mushy backlash and distracting from the dialogue that should have happened. Lynette Monteiro When “mindfulness” entered the clinical world, it became something very different. Secularizing it stripped away the traditional supports of what constitutes mindfulness in Buddhist terms. Buddhist practitioners had little to say about this until recently when the secular application expanded to areas that overtly transgressed the principles of sila. The dialogue between Buddhist and Secular mindfulness teachers needs to be a clarification about the complexities of Buddhisms and their individual definitions of mindfulness and also address the reality that both Buddhism & clinical applications venture into hell realms. A community that is mutually supportive and not divisive is required especially in the face of a growing competitive and rancorous secular/clinical (and even Buddhist) industry that is functioning without wisdom or compassion. Dharma Spring Thank you, Lynette Monteiro. The primary form of Buddhist meditation is mindfulness. In fact, there are hundreds of forms of Buddhist meditation, some for developing deep states of concentration and mental bliss, some for analyzing the constituents of mind and body to find that there is no self, some for meeting the Buddha face-to-face. The practice of mindfulness as it is taught in America today began in Burma in the early 20th century. Another hit for clearing up the view is from David McMahan’s generous rendition of the development of Buddhisms in the West, The Making of Buddhist Modernism¹. He brings together a historical progression that took Buddhism out of its native context and, in McMahan’s terms, “detraditionalized, demythologized, and psychologized” it so as to be more palatable to the Western mind and its desires. Part of that detraditionalization was to move wisdom as externally granted to an inner authority. Part of demythologization was to align with a scientific model that offered a halo-effect of reliability to Buddhist thought and philosophy. Part of the psychologization was to shift the path of liberation away from a means of transforming “becoming” to a psychological state of “being” (my term & emphasis). McMahan points out that the process of psychologization runs hand in hand with the other two processes. In unison, they become a mudra of significant enough power to transform indigenous Buddhism to something created by and in the image of the Western mind. What McMahan and others like Robert Sharf argue is the knowledge that a multiplicity of Buddhisms have evolved over time and through cultures has been lost in migration. Although the fundamental aim of practice in the Buddhist framework is self-understanding, self-regulation and self-liberation (I think Michael Apollo of the University of Toronto said this to me), the design of the path from desire to nirvana depends on whose Buddhism one chooses. Ironically then, instead of actually moving away from a core tenet of Buddhism, the indeterminacy of life, we seem to have entrenched ourselves in a new monolithic system of Western Buddhism. 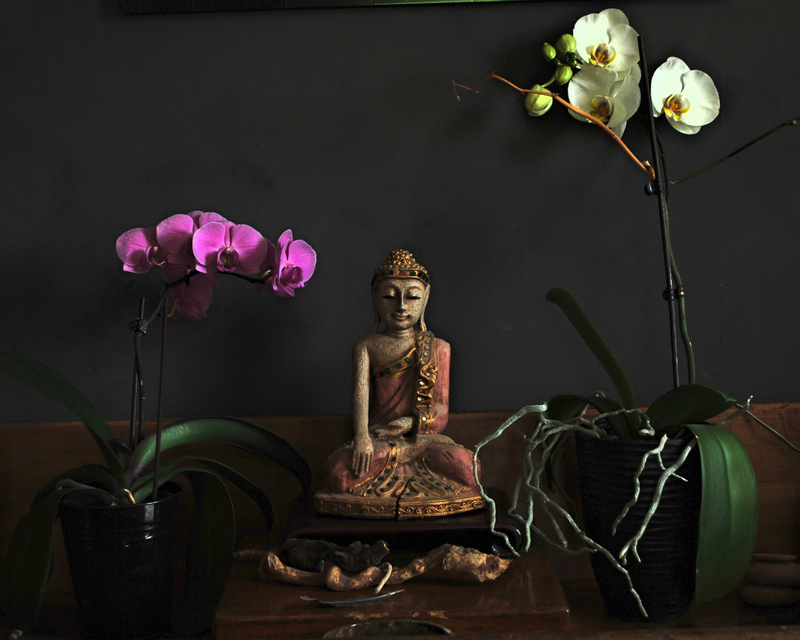 Having penetrated Western mental models, it’s no surprise that psychoanalytic psychology fell head over heels in love with the vipassana aspect of Buddhist practice. And interestingly, current applications – despite the claim of being insight-based – find samatha useful in dealing with a variety psychological ills. Of course, that also leaves psychological applications open to somewhat naive criticisms of being solely for symptom-management. And this brings me to the part about dialogue. There are so many misconceptions about the intent of both secular and clinical applications of mindfulness practices, not to mention of the Buddhisms themselves. True, the biggest elephant in the zendo is the absence of explicitly-taught ethical principles that underpin current applications of mindfulness. For a Buddhist practitioner, (one assumes) mindfulness IS ethics and mindfulness only makes sense AS an ethic. However, to claim that only Buddhists understand this and therefore hold the “right” of Right Mindfulness is propagating a myth. I only need to draw attention to the long days and months of profoundly painful and divisive arguments over the sexual exploitations of Shimano, Merzel, Sasaski, Baker and so many more to hammer home the truth that mindfulness and sila are sometimes not one and often are two. On the side of the secularists and psychologically-minded, to insist that we are only seeking a transdiagnostic intervention that is denuded of its religious trappings, while understandable, misses the point that we as mental health practitioners need to understand the origins and intentions of the practice. This is “best practice” not because there is an authority to whom we abject ourselves but because it allows for wise diligence and therefore wise action. 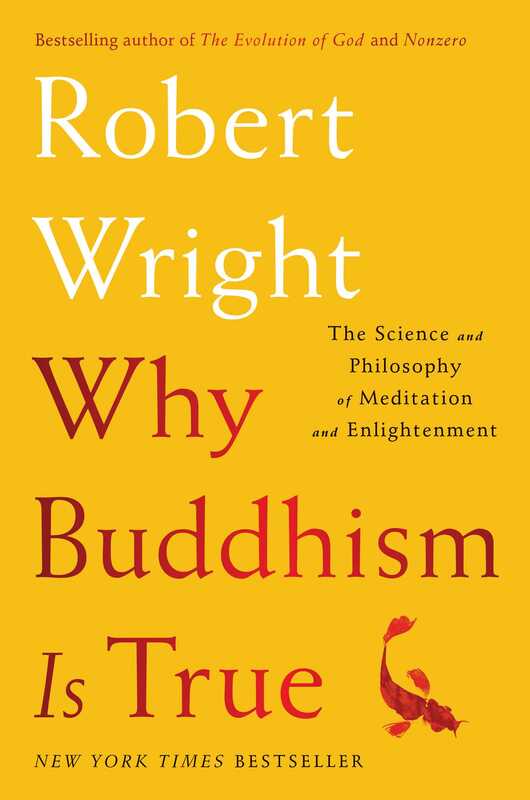 The Rhys-Davidses and Jung psychologized Buddhism about a century ago and likely most of what we know as psychological interventions is imbued with Buddhist philosophy. To turn a blind eye to that is as naive as the assumption that meditation alone will win wars. Perhaps the most articulate and useful distinction of Buddhism and psychotherapeutic intervention has been made by Mu Soeng. He points out that in the transformation of the longing-clinging-becoming cycle psychological model of mental health requires cessation of longing and clinging. A Buddhist model of mental health goes further into the cessation of the process of becoming². This is the field in which the dialogue to refine and ferment a deeper understanding of mindfulness should be happening. ¹I’ve avoided reviewing McMahan’s book although it was very helpful in setting the framework for my thoughts. For reviews of McMahan’s book please read Justin Whitaker’s excellent posts here for an impressive list of other reviews and here for an additional take on Buddhist Modernism and its vicissitudes. And a podcast on the Secular Buddhist here. Thank you to John Murphy for pointing me to his comprehensive review of McMahan’s book in The Journal of Buddhist Ethics. Hardly the next power couple in the dharmic world but we are perhaps a good example of karmic consequences of not steering clear of muddy waters. 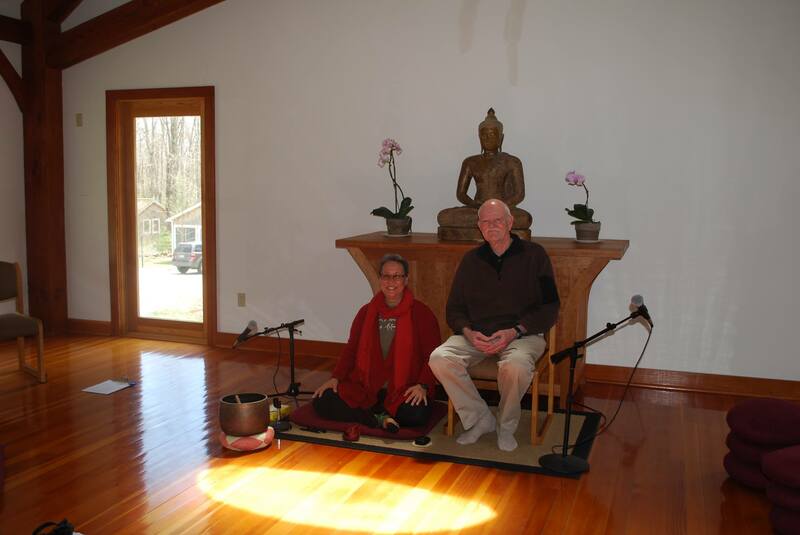 Frank & I lead a retreat on the Buddhist roots and ethics that underlie mindfulness programs at the Barre Center for Buddhist Studies. This was an opportunity gifted through the immense generosity of Chris Germer, Kristy Arbon, Mu Soeng, and BCBS Executive Director Laurie Phillips, all of whom galvanized the work we’ve been doing on making explicit the root teachings that inform the psychological aspects of contemporary mindfulness. Although the retreat was not intended to be a journey into personal practice, it had that effect and spoke to the need for these foundational teachings. It keeps what tends to be superficial attempts at attention and awareness grounded in the original intentions of practice. Stepping into that liminal space between Buddhist philosophy and psychological models of suffering is not difficult. But it does require a willingness to let go of one’s tribal mentality and concede that wisdom only arises as a result of contact and community. It was uplifting to be with so many practitioners who willingly entered into the intention of the retreat and shared their personal and professional wisdom with us. Happily, our article, Traditional and Contemporary Mindfulness: Finding the Middle Path in the Tangle of Concerns, was published in Mindfulness the day before the retreat. The email response so far is mostly positive and supportive with one rather wild foray into psychology-bashing & mindfulness as the Ultimate realm where everything is One. This, along with a few comments from surprising sources, makes me wonder if we’ve forgotten that the Buddha recommended teaching to one’s audience. I tried to make the point that most people don’t show up on my doorstep and say, “I’m struggling with the evanescent nature of experience.” They tend to come with a felt though poorly articulated sense that something is amiss. As teachers of any ilk, we are meant to meet those who suffer where they are on the path, not where our elevated egos think they should be. Not just “know your audience” but also “what am I doing?” This is the edge we found ourselves walking moment by moment as we opened up the texts and poetry that inform contemporary mindfulness. Of course, “what am I doing” occasionally took on the feeling tone of “why the hell did I think I could do this! ?” But that’s a post for another day. I’ve thanked Justin Whitaker in the article but it is worth repeating it here: Thank you for keeping this discussion going at so may levels. We are The Holy Relic of the Misappropriated Matcha. Our rituals include eating Green Tea Ice Cream to show our unmitigated devotion to all things sacrilegious. In a “not-yer-mamma’s-non-duality” way, of course! It’s a response to a series of posts from various places. The first series was in reaction to Wisdom 2.0 which berated secular forms of mindfulness programs (here we go again). These posts by various Buddhist teachers and organizations expressed concerns that mindfulness taught in profit-centered corporations would serve only to create worker drones and therefore lead to more oppression than liberation. This one’s been argued with accompanied flogging of the blindly-accepted prediction that teaching mindfulness in places of ill-ethical repute will end badly for the 99%. Because I tend to believe that we, as purveyors of secular mindfulness programs, need to be clear on our own ethics which would guide who we serve, I also believe that we can discern when offering mindfulness programs may or may not be a good thing. It’s that nonduality thing. Samsara/Nirvana. At the same time, I do wish that those in the know – meaning those Buddhist scholars and teachers who are vehement about NOT bringing mindfulness programs to corporations who practice unwholesomely – would offer me some clear evidence that this oppression is a real outcome and not a theoretical one. It’s that science thing. You know, evidence. Because without evidence, I’m likely to not get in my car and drive to work each day because the stats say more people die from vehicle accidents than anything else (yes, yes, fossil fuels but my horse is too old to be galloped into the city). So, please. Send me the facts. Or at the very least a well articulated argument for NOT delivering such a program. You know, it’s that risk analysis thing. When we experience dissatisfaction at work, which everyone does we can use our disappointment as fuel to wake up. Really? Really. The post boasts 15 shares and 51 likes. Really. Women in what one commenter called an “alienating job” being linked to the idea of “dissatisfaction at work”… which everybody feels… and the idea that it can be transcended by seeking to use it as a tool to wake up. 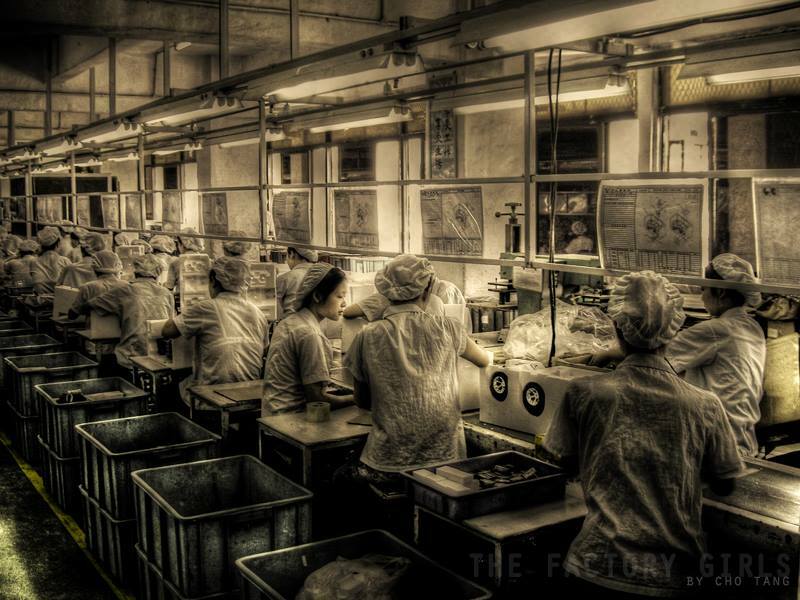 I once worked in a factory much like this one. It was the only way out of the Montreal slum-like housing and to stay in University. The 11PM to 6AM shift which required waiting in the dark at a bus stop by the Metropolitan underpass. I didn’t have the luxury of feeling dissatisfied. I did wake up. Not waking up was not an option because after catching the bus at 6:30AM I had to get home, sleep an hour, and get to classes. But enough about me. In all the shares and comments there was only one that asked the burning question: Are you saying that being oppressed is an opportunity to wake up (I assume in the Buddhist sense of attaining liberation)? Well heck. In that case, let us all descend on the corporations and encourage this oppression through misappropriated mindfulness because that might work better than good old fashioned Buddhism! I’m not being rhetorical because I do wonder why that post and its implication did not draw the ire of dhamma purists. Maybe because it comes from within the dhamma circle and so is acceptable? Could it be that all this mindfulness practice does have a suppressing effect on our discernment of when something just plain is not right? Maybe these are not politic questions to ask. What’s up with this term Mindfulness? It’s not an easy concept and comes with a boatload of interpretations whose perspectives depend on the particular Buddhist tradition. What’s worse is that the secular Mindfulness, as in MB+something, is a mash-up of Theravada meditation systems, Mahayana philosophical concepts (like non-dualism), and some yogacara thrown in for good circulation. Good luck trying to line that up to some pure form of the Dhamma/Dharma. When Jon Kabat-Zinn put all this together he truly believed it was a working model and that scholars in time would work out the kinks. All I can say is the kinks have come home to roost and scholars are not happy about it. And it would be nice if, in the popular press, we spent more time understanding that “Mindfulness” is no more monolithic than Buddhism. What’s up with this need for ethics and that damned sniper who is clearly doomed to Buddha Hell? Buddhists, interviewed about secular mindfulness, trot this example out: without ethics, a sniper whose fully-focused attention would be seen as mindful is not because the intent of his actions are unwholesome – i.e., he’s going to kill someone. Well, that’s true… but only partially so. Peter Harvey has a terrific section in his book on ethics¹ about who can break precepts and under what conditions. It’s not so clear-cut as it turns out. There are all kinds of contingencies but the bottom line is “it depends.” Killing is wrong, period. However, the agent of the killing is not, in Mahayana perspectives, immediately consigned to rounds of poor rebirth. It depends and (spoiler alert) it requires cultivating clear comprehension through sila. I’m no scholar but I sure would have liked to see this aspect pounded out in the criticisms of secular mindfulness and the implications of not having an ethical framework in its curriculum. Why? Because it helps to provide a sound rationale for making changes in a practice model that may not be as good as it could be. I don’t worry about misappropriations. Green Tea Ice Cream was my last rant over the evil use of good matcha. Before that, I railed against the way psychiatrists used therapy as a quick-fix for their medication fails. And before that, I railed against physicians doing psychotherapy because they were burned out from their overloaded family practices. If you think you own something and are defined by it, you are going to see someone as taking it away and being incompetent at it. But that’s different from holding them accountable for learning how to be competent at it. That’s what’s missing in this lop-sided furore over the use of mindfulness and the dire consequences thereof. All right. I’ve ranted enough. I want to acknowledge the following scholars for their forward-looking attitudes: Bhikkhu Bodhi in his article in Contemporary Buddhism, Robert Scharf in his video on how Insight Meditation came to the lake, Richard Payne for his insightful comment on the reality of corporations and not thinking we can teach them ethics, Seth Segall for his post that we not lose sight of the good that is possible even if these programs are seen as half-measures.